, the latest edition from the Perth Mint of Western Australia, is one of the most cost effective ways of adding gold to any investment portfolio. 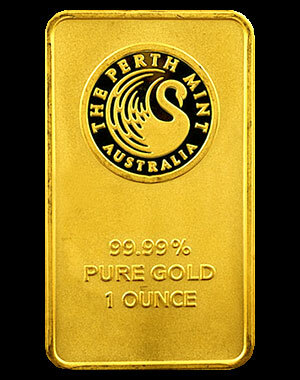 The Perth Mint has an unparalleled reputation among collectors and investors worldwide for fine gold coins and bars. Founded in 1899 as a colonial branch of Britain’s 1000 year old Royal Mint, it was acquired by the Western Australian government in 1970, and is the sole producer of Australian precious metal coins and bars. Each bar bears distinctive symbols of Australia’s golden heritage. The obverse displays the majestic swan of the Mint’s famous signature stamp. 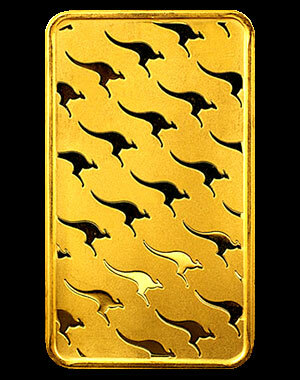 The reverse side is decorated with images of kangaroos, native inhabitants of the Australian “outback” where gold has been mined commercially as far back as 1851.